Jeopardy! Contestant Sets New Winnings Record and Has a Friend Named BoogerThere’s a lot going on here. Even More Jeopardy! Is Coming to NetflixWhat is something to get you through the rest of winter? This Game-Show Host Is Not Retiring. Who Is Alex Trebek?Four more years! Four more years! It’s a Beard-Off: Stephen Colbert Challenges Alex TrebekThere can be only one. Congratulations to Alex Trebek’s Beard on Its Successful TV DebutThe rest of TV’s bearded men welcome him. I’ll Take ‘Oh My God, Jeopardy! Is Available on Hulu’ for $400, AlexThis! Is! Incredible news! This! Is! Upsetting! 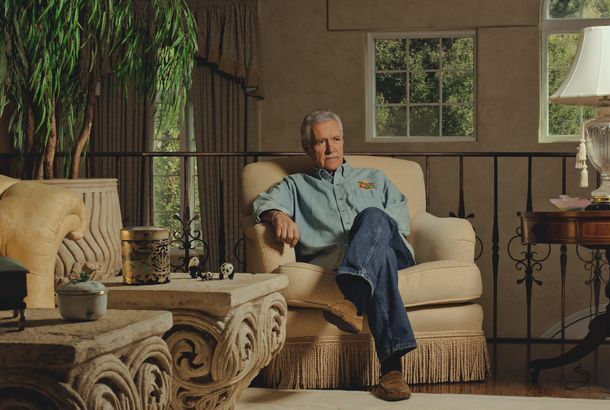 Alex Trebek Might Soon Retire From Jeopardy! And he has his replacement in mind. Can You Answer All of These Reese Jeopardy Questions? (Yes, They Are Not Hard)They’re much easier than Harvard Law. Alex Trebek Has the Time of His Life Taunting These Jeopardy! Football NoobsDammit Trebek! Your Mom Was on Jeopardy! Last Night Confusing Jack White and Eminem AgainPoor Julie had a clue and still had no clue. The Best Austin Rogers Moments From Jeopardy!’s Tournament of ChampionsYou know you missed those pantomimes. 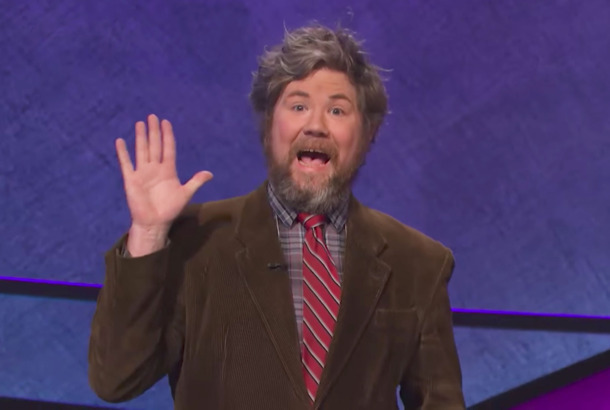 The Most Delightful Austin Rogers GIFs From His Astounding Jeopardy! RunDance moves, pantomimes, and celebratory arm swings galore. How Austin Rogers Upset the Natural Order on Jeopardy!He is precisely the sort of person who is not supposed to win. How the Jeopardy! Writers Room Comes Up With All of Those QuestionsYes, Alex Trebek reads them all ahead of time. Alex Trebek Introduced a “Stay Woke” Category on Jeopardy!Unfortunately, it just turned out to be a bad pun. Alex Trebek Has a Gift for Rapping — Here’s the ProofVIDEO: The proof is in the pudding, as they say. Alex Trebek Honors Cindy Stowell on Jeopardy!She had a six-day winning streak. The Foo Fighters Were a Whole Jeopardy! Category Last NightOur heroes.